Another new bike was given to Jaden during his 3rd birthday and he was so excited to ride on his new bike. 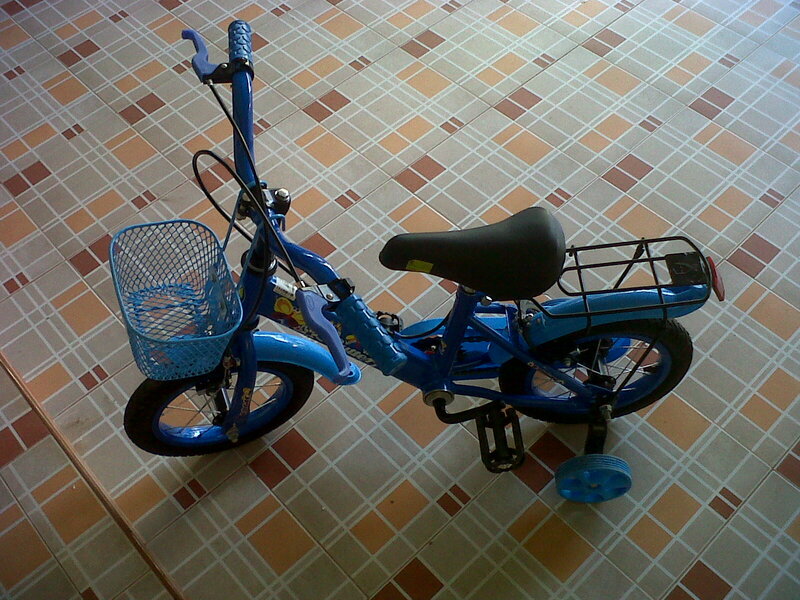 Our friend who used to stay with us contribute together to buy this bike for him. Right now he can ride on the bike but still struggling to drive it and how to make it run. Hopefully, he can drive it right soon while he is practicing it everyday. He will get used to it later. Seeing the bike, I couldn't imagine how our little baby before is growing so fast. The interest he has a getting wider. He wants to explore things more and more. I felt blessed to see how he grows by the grace of God.